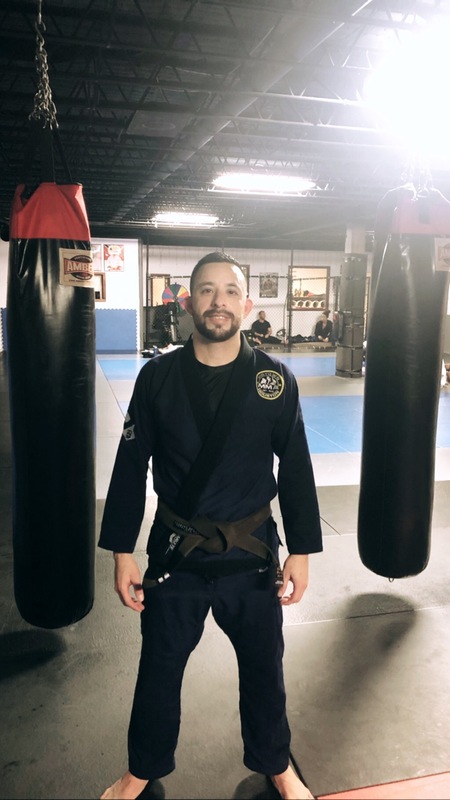 Chris Farias is a 2 stripe Brazilian Jiujitsu Brown Belt. He has been training Brazilian Jiujitsu since 2007. He trained under Travis Tooke and received his Blue Belt in 2009. He was deployed to Kuwait from 2011 to 2012. Shortly after returning, he resumed his training at Midtown MMA Houston with his friend and team mate Chris Martinez in 2013. Chris Farias continues to cross train at Team Tooke, our affiliate headquarters. He also trains at the University of Jiu-Jitsu, while in San Diego for his military training.